Sta nevicando in Bear Mountain ?Grazie! At Bear Mountain snowboarding is on-site along with a terrain park. There are 34 trails within 45 kms of piste terrain. Bear Mountain covers over 700 acres with 12 lifts to service the slopes. The terrain park contains berms, banks, jumps, spines, quarter pipes, kickers and a huge, 300-foot half pipe. 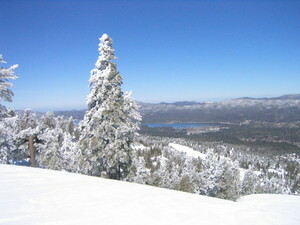 There is a variety of lodging at Bear Mountain located on-site including luxury motels, motels, condos, and suites.